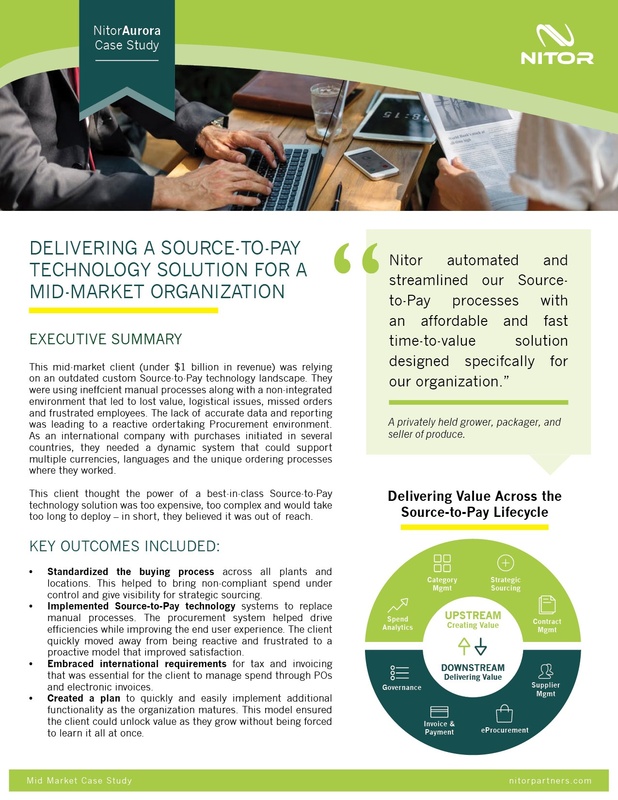 Key outcomes including how Nitor standardized the buying processes and implemented a quick time-to-value Source-to-Pay technology solution. Deployed a Cloud-based Source-to-Pay technology solution within the 10-week plan. Quantified results. This is where Nitor really shines - demonstrated decrease in PO times, enabled electronic Purchase Orders and decreased the number of suppliers.